I have to say, I love this photo. 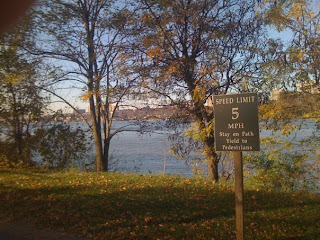 This is my usual running route, with the speed limit posted on the pathway. I may be slow, but I do run faster than 5mph (usually). I'm waiting, anxiously, for the day when I get ticketed for speeding.